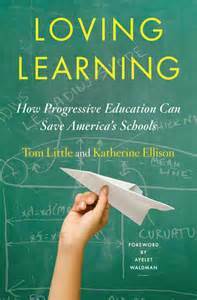 Tom Little, in collaboration with Katherine Ellison, has written a very nice book about Progressive Education. To start with, it is just easily readable. Not only is it readable but it is quite enjoyable as well. While authorship is given to Tom Little (co-founder of Park Day School) and Katherine Ellison (journalist), it is written in the first person from Tom’s perspective. At 200 pages of text (plus some useful appendices), it can be read leisurely in just few days. Tom helped start and then direct a small independent progressive elementary school in Oakland California. At the end of his career he decided to tour the United States visiting other schools that identified as being progressive or that he thought met the definition of progressive. This book is the outcome of that tour. Sadly, Tom died of cancer shortly before the publication of this book. The book starts out giving Tom’s history of becoming a teacher and founder of Park Day School. He weaves into this a brief history of progressive education since the late 1800s of John Dewey and Francis Parker. In giving us this history, he also gives us a definition of progressive education. In an early chapter he give us six core strategies which he distills as “passed down form Dewey, Parker, and the other pioneers, and still in robust practice at progressive schools today” (p.52). In sum these are: Emotions as well as intellect; Student interest as a guide; ban of standardized testing and ranking; real-world endeavors; integration of curriculum and disciplines; and active civil participation for social justice. He illustrates these ideas through the rest of book. However, mostly what this book does is describe what progressive education looks like, using anecdotes from Park Day School as well as many of the other progressive schools Tom visited. He uses these stories to illustrate the points about what progressive education is and can be, and why it is so vital to both a solid education and to a democratic society. In this way it reminds me of the style of two of my very favorite books in education, Deborah Meier’s The Power of Their Ideas, and Ron Berger’s An Ethic of Excellence. All of these books are told in conversational tone, using the authors’ own experiences to illustrate important big lessons about what education can and should look like. If you want an easy and enjoyable read on the power and practice of progressive education, then you must pick up Loving Learning. This entry was posted in 2015, Book Reviews and tagged progressive education. Bookmark the permalink. Nicholas, the Park Day School charges more than $22,000 tuition, with after school programs an additional cost. Do you know what % of students are from low income families? The website does not make this clear. Doesn’t it seem a big incongruous to describe a school as “progressive” when it charges this amount of money to families? I too am concerned about the issue of who gets served by private schools. The book does discuss this issues explicitly in the section “Walking Our Talk” on pp. 176-180. While no exact numbers are given, he implies in several places in the book that a fair number of students are from low-income backgrounds (e.g. “Park Day School [takes] pride in aggressive financial aid programs that maintain economic and racial diversity that goes beyond window-dressing” p.178. ), but also admits it is not enough. (And in some ways scarily, the $22,000 tuition is actually much lower than I have seen at most “Progressive” private schools located in major cities). Whether a school can call itself progressive and not serve a significant number of low-income students is an interesting question. One I am not sure of the answer to. Such a school can certainly be progressive in its pedagogy, and even to a degree in promoting progressive values. If you read the book, you can decide for yourself if you find his answer to that question compelling or not. thanks for your note. I much prefer to work with and learn from district, alternative and chartered public schools that are serving significant percentages of students from low income families and doing that well. 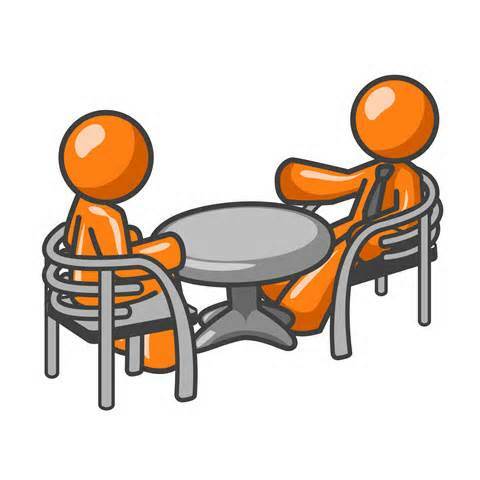 HI NICHOLAS… Sure wish I could get you to request a free copy of my book…and then review it? I think you would find it hits all the points that educators need to see and remember based on brain research. When will things finally change for the better learning environments for all children. One size will never fit all. Looks like we have similar passions> AND A NEW SCHOOL YEAR IS ALREADY HERE! HAVE YOU OFTEN WONDERED WHY SO MANY OF OUR BOYS HAVE TROUBLE IN SCHOOL? WHY DO SOME BOYS FEEL FAILURE, AND SADLY HATE SCHOOL BY THE TENDER AGE OF 6? SO..Thanks for YOUR IMPORTANT connection. I am currently residing in Portland trying to change HOW we teach boys for more success and less aggression. Please SEE ATTACHMENTS/ Our future depends on this!!! We need happier productive citizens, less aggression, and better success in schools now! This teacher of 40+ yrs is passionate about helping to impact how boys are taught…at their developmental age, and by using “brain research” to make sure learning is active and engaging to them.